While moving from NJ to Rhode Island is a long-distance move, just be thankful that you’ll still be in a state, like New Jersey, where you’ll have access to some of the country’s best seafood and Italian food! Whether the reason for the move is a job, family, or just the urge to move a little further north, Simonik Moving & Storage can help you make a smooth transition. Since 1977, we’ve been committed to providing an excellent customer experience. 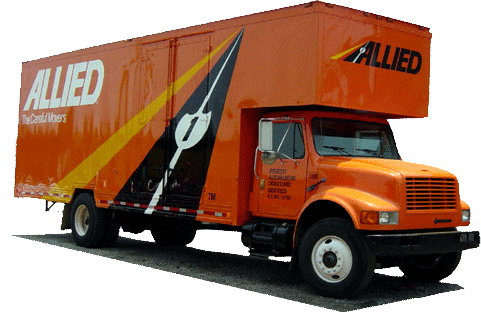 We’re an agent of Allied Van Lines, and that affiliation gives us access to moving professionals and equipment all across the country. Our long-standing Better Business Bureau accreditation is proof of our quality service, and while we hate to see you leave New Jersey, we’re happy to help you move! Another helpful service that we offer is storage. Whether you need to store some items for a few weeks or for much longer, you can store them with confidence in our secure facility. Your items are packed in containers designed for long-distance shipping. When you’re ready, we’ll ship your belongings right to your door. Our easy-to-use, affordable storage solutions are another way that we make it painless for you to complete your move from NJ to RI. We are known throughout North and Central New Jersey as the premier local and long-distance moving company. In counties throughout the state, including Hunterdon, Mercer, Middlesex, Monmouth, Morris, and Somerset, residents know they can count on us to provide professional moving services. We won the “Mover of the Year” award from the New Jersey Warehousemen & Movers Association. We are a ProMover member of the American Moving and Storage Association, and this helps us to stay apprised of the ever-changing regulations that govern interstate moves. Call us and see how easy it is to complete a move from NJ to Rhode Island when you have us on your side! Don’t start your NJ to Rhode Island moving plans without talking to us! Give Simonik Moving & Storage a call to learn more about our comprehensive menu of moving services. You can also fill out our online contact form to receive your free, in-home estimate.